This is a guest contribution from Puranjay Singh. Around six months ago, I quit my job to make a living as a writer. It wasn’t that I didn’t enjoy my work; it was just that I wanted to travel and needed the freedom of freelancing. I didn’t know a lot about writing, but I knew I could turn a phrase or two. The answer: very hard. Freelance writing is a hyper-competitive industry where you are fighting against thousands of writers for the same jobs. Sheer writing skills count for nothing, degrees for even less. Add writers willing to underbid you, and you have a recipe for total disaster. To succeed, I had to go against a lot of conventional advice. I had to change the way I approached my writing. I also had to bring in all my years of marketing knowledge to get the jobs I wanted. In the process, I ended up making 2x more money as a writer. I started my freelance writing career like most others – I found gigs online, wrote long cover letters highlighting my education, then waited patiently for a response. I won a grand total of two jobs this way. My proposal to job conversion rate was an abysmal 4%. Clearly, this was no way to replace a full-time income. It took weeks of despair and error before I realized my approach was completely wrong. I was thinking like a writer, not like a business owner. I took a couple of days off and thought hard about why businesses wanted to hire me in the first place. Obviously, it wasn’t because I had read all 154 of Shakespeare’s sonnets or knew five different synonyms for ‘tempest’. No, they wanted to hire me because they had a business problem and needed a solution. Businesses need high quality marketing content to sell their products and services. Businesses don’t have the time or expertise to create this content on their own. When you sell yourself as a writer, you are only solving half of the problem (creating quality content). A business will still have to invest time and effort into training and monitoring your writing in order to meet its business goals. To the business owner, thus, a writer is a cost center, not a revenue center. Top marketers and consultants know this. This is why they always sell themselves as solutions, not as mere skills. Instead of talking about their education or their experience, they talk about how they can help a business make more money and have more free time. In other words, you must be more than a writer. You must provide solutions. This is the bedrock of a successful freelance career. Once you adopt this thinking, you will see opportunities where none existed before. You will become an asset to every business you work with, not just a replaceable writer. Once you’ve adopted this strategy, you can work on some tactics to get better paying clients. When I started my freelancing career, I was convinced no one would ever pay me over $10/article. It wasn’t that I was bad writer; it was just that I hung out on internet marketing forums where this was the going market rate. I then learned about top content marketers charging big brands $150+/hour to create content. You couldn’t tell my $10/hour article from the $150/hour blog post. The only difference was in the way we had positioned ourselves. “Positioning” is marketing speak for how a brand projects its solutions with respect to competitors. This is why Rolexes start at $20,000 and why Apple can charge twice the going price for a laptop. Positioning is also crucial for freelancers. When you sell your services for cheap, you attract cheap clients. By marketing yourself as a premium service provider, you can often charge 2-5x more for the same work. Increase rates. Just as people naturally assume more expensive items on a menu are better, they also assume more expensive freelancers know more. A carefully crafted, well-designed brand presence can give your service a ‘premium’ perception. Selective clients. 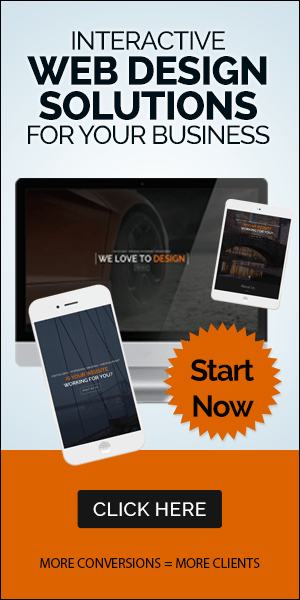 Showcase your best clients on your website/portfolio. This can also be websites you’ve been featured/mentioned in. Recognizable brand names have a multiplying effect on your own brand. Function like a business. Register as a LLC, use professional billing tools, have a standardized onboarding process (more on this below). Professional imagery. Use professionally portrait shots on all your social media profiles. It just makes you come across as more savvy and serious about your work. 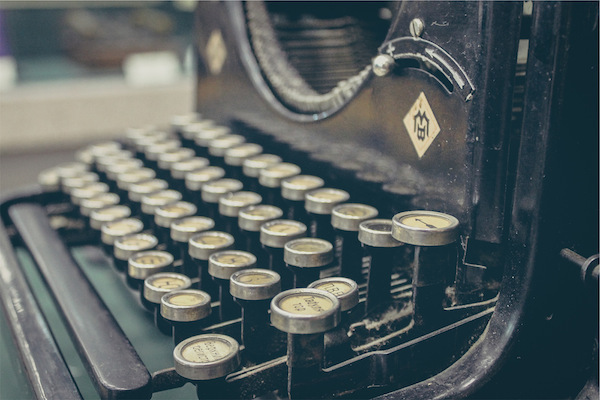 Writers occupy the bottommost rung in the content marketing ladder. Sure, they are important, but unless they work themselves into an editorial/managerial role, their responsibilities are as limited as their earnings. This is why I market myself as a content marketer, not a writer. As a content marketer, I have a lot more responsibilities – I have to come up with a content plan, create content, then help marketing distribute it. But because it requires more skills and knowledge, it also pays way more. You don’t have to sell yourself as a content marketer, of course. You can be a blogger who runs a startup’s entire blog independently. You can also be a copywriter who helps businesses sell more with conversion-oriented copywriting. Your main objective is to get off the bottommost content marketing rung. Once you do that, your income will go up automatically. I understand this is something many of you will be uncomfortable with, but branding yourself as a business, not just an individual, is the true secret to unlocked 2x higher rates. Because businesses hire individuals, but work with other businesses. I’m not saying that you should get an office and hire employees. I’m saying that you should operate with the rigor and professionalism of a business. For example, every time I get a new client, I invite them to Basecamp. This serves as our project management tool throughout the duration of the engagement. Besides streamlining our communication, it also tells them that I am serious about the success of their project. Registering as a business. LLC registrations cost as little as $149. Using branded templates for content plans. Onboarding new clients with a branded ‘welcome’ guide. White labeling software, such as WordPress theme backend. Sending professional invoices through tools like FreshDesk. When you do all this, you tell the customer that you are a professional, experienced veteran, not just a dabbler who started a few months ago. There is a simple rule in business: you get paid more for knowing a lot about one topic, than knowing a little about a lot of topics. Readers of ProBlogger should understand this better than anyone else. Darren has made a habit of talking about the importance of niche selection. If all things are equal, a niche blog will become far more successful than one targeting a broad topic. You must approach writing the same way. Don’t pitch your ability to write about “any topic under the sun”. Instead, pitch your expertise in writing about “marketing, SEO and social media” or “DIY and home décor”. You can also target specific clients, such as small businesses only or startups (like I do). Sure, this constricts your market, but you also get access to far better paying gigs. Author James Patterson made $94M through book sales in 2014. Screenwriter Shane Black netted $4M for writing the script for The Long Kiss Goodnight. David Ogilvy wrote copy for much of his life. The company he founded today does billions of dollars in annual revenue. The point is: writing is a vast industry. It includes everyone from the $2 article rewriter, to the author earning a $1M advance. The key to unlocking higher earnings is to target higher value work. For example, few businesses will pay over $100 for a blog post. However, the going rate for a whitepaper is easily over $1,000, for the same number of words. Thus, there is a higher chance of converting a prospect into a customer after she reads a whitepaper. This is why whitepaper creators tend to get paid more than blog writers. It’s the same with website copy. Good copy has a direct and immediate impact on conversion rates. Copywriters, hence, can often get away with charging businesses upwards of $200/hour. This is the easiest way to increase your earnings as a writer: write more whitepapers, eBooks and website copy, fewer blog posts and articles. Building a freelance career doesn’t have to be hard, nor does it have to be underpaying. It takes a few shifts in thinking and approach to get the kind of jobs you truly deserve. It’s now your turn to adopt these strategies to get the results you want. Start by thinking like a business owner, targeting the right kind of jobs and branding yourself as a premium service provider. Then share your results and queries in the comments below. I’ll be happy to help as much as I can. Puranjay Singh is a writer and content marketing consultant. He is passionate about helping small businesses run result-oriented content marketing campaigns. Drop him an email at puranjay@growthpub.com.